Since 20 May 2011, TOPGLOVE trade above MA100 support level. 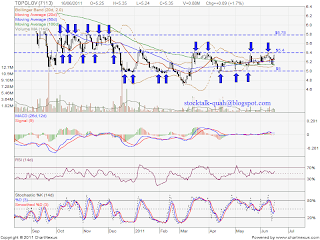 It do forming bolinger band squeeze which trade within RM5.00 to RM5.40 level. How about this round? 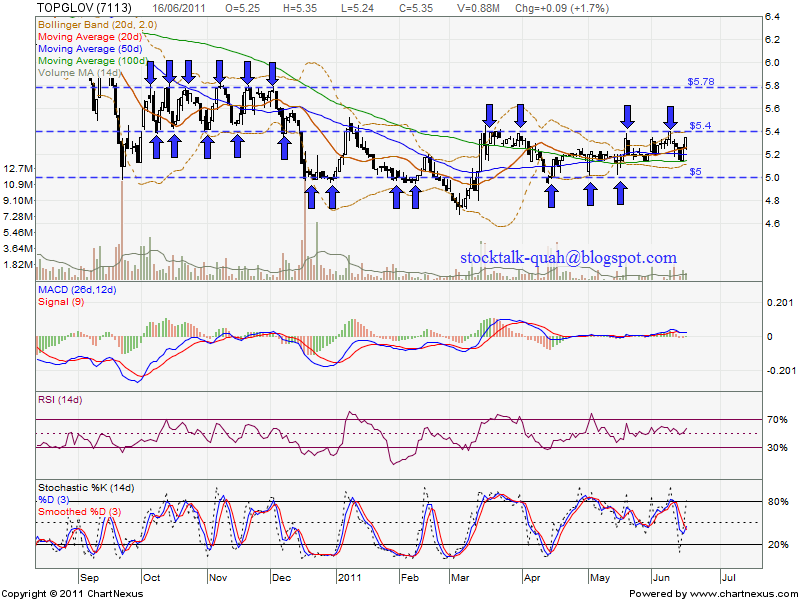 Will it break through OR further consolidate?